If you have two people together, you can expect to have disagreements. 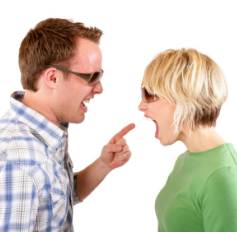 How you handle these disagreements determines the quality of your relationship. Most of us handle them in a way that is very destructive. We get defensive and draw sides against the other person. Then we fight to have our side prevail. We believe that if we fight hard enough, our side will win. Unfortunately, this isn’t the case. Everything you do to have your side win is calculated to have the other side lose. This automatically puts the other person on the defensive and forces that person to fight you. Then you get defensive and fight the other person even harder. Then the other person does the same. Without knowing, you create a cycle of conflict that makes it very difficult to resolve anything. Fortunately, this can easily be avoided. To learn how, let’s look at the nature of arguments. Whenever there is an argument, there are two people who are forcefully pushing their point of view on the other. No one is listening. Nothing is getting resolved and the cycle of conflict is escalating dramatically. The key to ending arguments and resolving disputes is very simple. Stop talking and listen. It is physically impossible to have an argument with someone who listens. The next time you are in an argument, listen to what the other person is saying and hear it from that person’s point of view. You don’t have to like what the person is saying or even agree with it. You don’t have to do anything. Just listen. Once you have fully let in the other person’s point of view, there will be an opening for you to express yours. Once both of you have said everything you want to say, you can have a conversation about solutions. The key to resolving disputes is simple. Look for solutions that work for everyone. You will be surprised at how fast you can find them when you take the time to look for them. Usually, solutions show up quickly. Sometimes it takes longer, but one thing is for sure, if you are not looking for a solution, you’re not likely to find one. So keep looking. Whatever the issue, there is a way to resolve it. Even if the other person draws sides against you, don’t fight back. When you keep looking for solutions that work for both of you, the other person becomes less defensive. It’s hard to fight someone that is on your side. Finding solutions that work for everyone may seem like a difficult way to resolve issues, but it’s actually the easiest way. It’s easier because you are removing opposition and resistance. When you draw sides and fight against each other, disputes get resolved by tug-of-war. The process is painful. It takes forever and the cycle of conflict gets magnified dramatically. You can keep your pride, draw sides, and go to town on each other; or you can be committed to a relationship where everyone comes out ahead. The choice is yours. 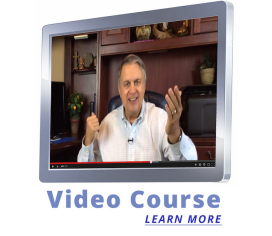 To learn more about how to resolve disputes, get the video course and read the book, How To Heal A Painful Relationship.